The US airline industry features three types of carriers in terms of operating model: traditional carriers, low-cost carriers (LCCs), and ultra-low-cost carriers (ULCCs). 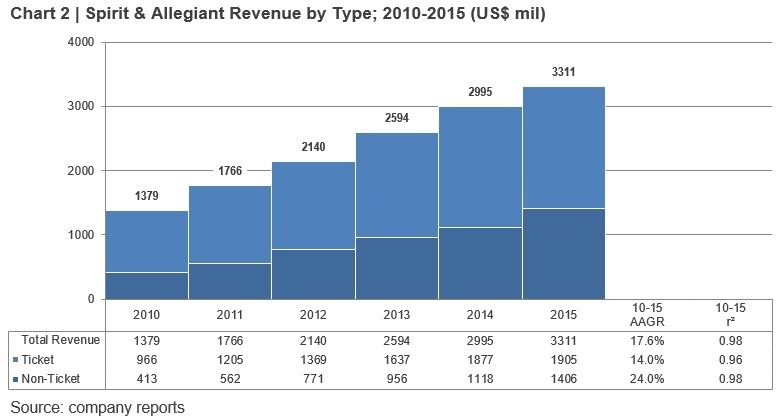 ULCCs – largely represented by Spirit Airlines (Spirit), Frontier Airlines, and Allegiant Travel Company (Allegiant) – experienced impressive revenue growth over the 2010-2015 period. Among the various hose types, demand for fluid power hose stood out as a star performer due to robust growth in US oil and gas production. Over the 2010-2015 period, sales of fluid power hose increased at an impressive average annual rate of 21%, largely attributable to rising sales in the US oil and gas industry. 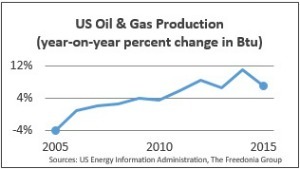 US oil and gas output (in terms of British thermal units) saw average annual gains of 7.6% over the 2010-2015 period, nearly three times the 2.6% average yearly growth from 2005 to 2010. The National Highway Traffic Safety Administration and the Environmental Protection Agency issued new Corporate Average Fuel Economy (CAFE) targets in August 2012, which increased the fuel economy requirements of light vehicles to an industry average of 35.5 miles per gallon (mpg) for model year 2016. The expectation for CAFE in model year 2025 is about 50 mpg. 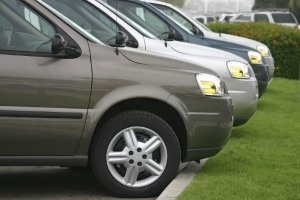 As light vehicle manufacturers continue to increase fuel efficiency, they are scrutinizing input choices, including sheet metals such as steel and aluminum, in an effort to reduce vehicle weight and fuel consumption. These shifts in the motor vehicle industry are of particular import to sheet metal suppliers; transportation equipment represented the largest market for sheet metal in 2015, and motor vehicle stampings account for a large portion of the demand. Our goal is to help you better understand your customer, market, and competition in order to help drive your business growth.